One day in the mid-1800s rose a young energetic Gothenburger named Aaron Heyman off the train in Vårgårda. On the fertile plains of Västergötland, he took the knowledge he gained from Scotland to make specially steamed oatmeal to seize the spill and after that in 1903 introduce our very first dog food “Vårgårda Dog Flour”. Our factory manufactures wet and dry food and is located in western Sweden’s beautiful farmland in Vårgårda. Here, as elsewhere in Sweden, farmers use less chemicals than elsewhere in the world and the Swedish animal husbandry has for decades been characterized by far-reaching protection and security. This means that our ingredients are of the highest quality, without hormones, antibiotics and synthetic additives. Leotsakos I.K.E. 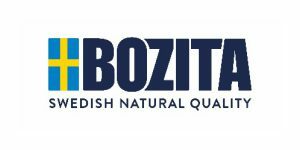 is Bozita ‘s representative in Greek & Cyprus market since 2013.